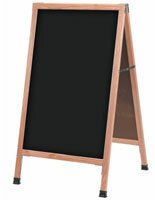 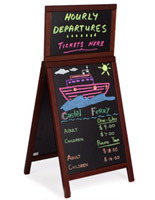 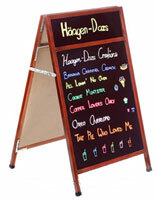 This A-frame chalkboard is double sided to capture the attention of passersby from any direction. 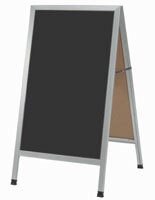 The write-on blackboard works best when writing and drawing with stick chalk. 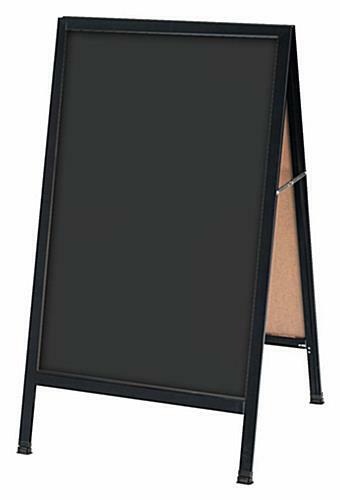 Each black A-frame chalkboard measures 42 inches tall, therefore making it the perfect advertising tool for placement outside of restaurants and retail stores. 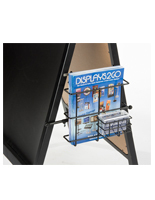 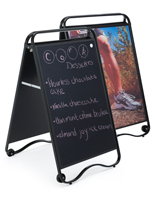 The write-on sidewalk sign has an interior hinge, which allows users to fold the unit flat in-between uses. 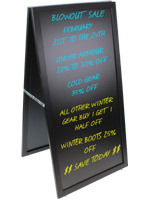 Buy the write-on sidewalk sign with blackboard surface as an eye-catching tool for displaying personalized announcements and advertisements. 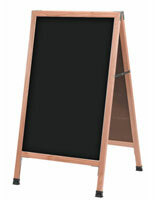 Please Note: This A-frame chalkboard should be brought inside during inclement weather.